Lexus features a deep pile contemporary geometric design. 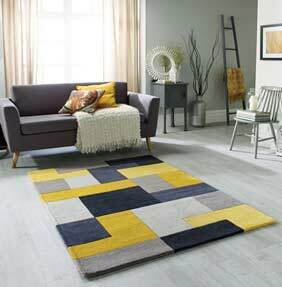 This trendy rug collection is available in a range of fashionable colours and is the perfect compliment for most interior decors. Choose from 6 different fashionable colours, each hand-tufted in 5 different sizes. Bespoke made to order sizes are also available, please contact us for prices. Lexus is high in quality and relatively low in price, thus making this collection excellent value for money!